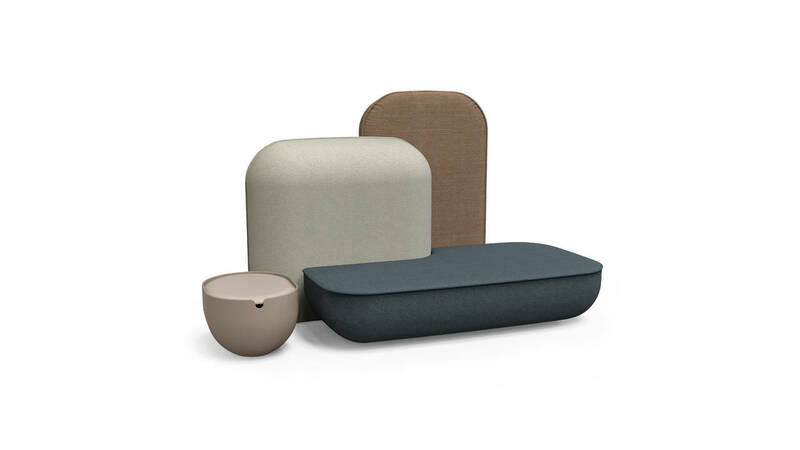 A collection created out of a partnership between Alias and Studio Nendo, summing up the company’s concept of casual chairs and footstools and testifying to the its ability to serve the world of design and interpret the most innovative new trends: Okome is a family of seats and backrests characterised by large radiuses and soft, natural shapes, like stones washed smooth by water. A sophisticated hooking system permits creation of a variety of different configurations to for specific uses: from single chairs to big islands perfect for use in the contract industry and in waiting areas, completed with a variety of supporting elements. We talked about the project with Oki Sato and Brand Manager architect Andrea Sanguineti. 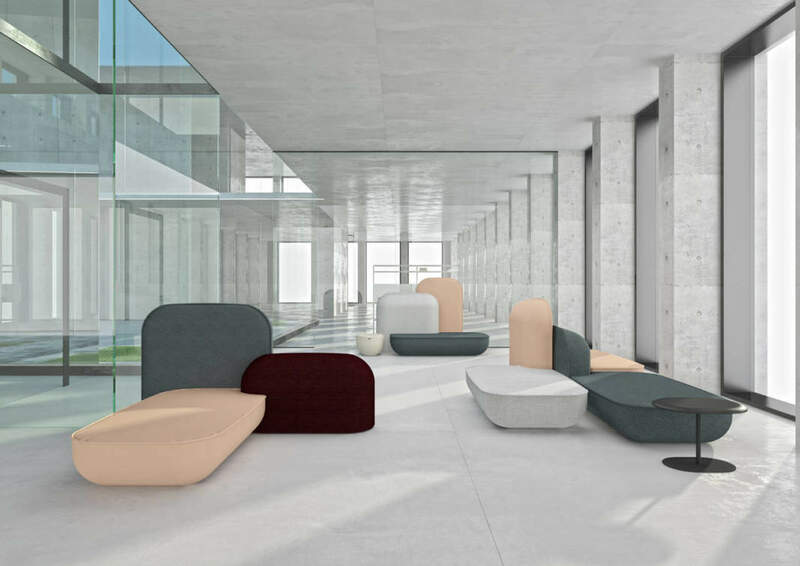 Area: Okome is a cross-cutting project in which Alias explores the upholstered furniture industry and creates a versatile solution suitable for both residential projects and the contract industry. 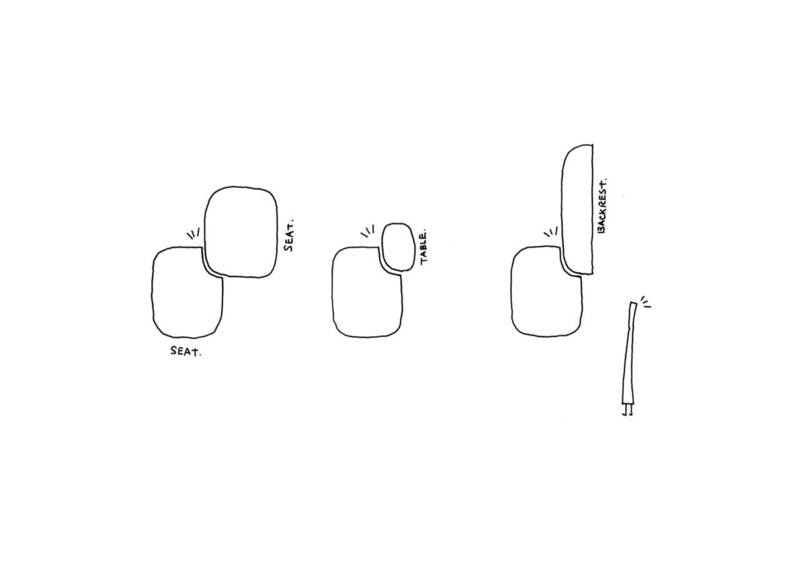 Andrea Sanguineti: Alias chose Nendo to create a series of casual chairs for home and office use. The company is known for its products of refined design incorporating aluminium components; Alias has always had trouble dealing with upholstered furniture, as it often expresses design through volume rather than through use of the quality details typically associated with the company. But it is becoming increasingly important for companies to include informal seating for the contract sector in their catalogues in order to offer a complete product portfolio and offer consistent solutions for a complete project, from workstations to lounge areas. We thought it would be interesting to ask the Japanese designer to address the theme, because of the freshness of his style and the elegance with which oriental designers address this particular type of product. Area: What is the concept behind the design; what are the references, the stories and images that inspired you? 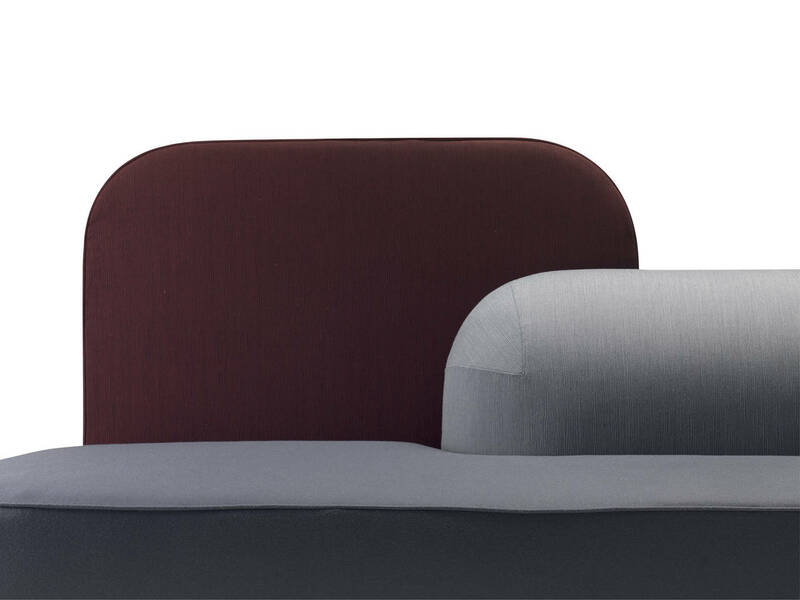 Oki Sato: The structure of rice was the key to the design of this modular sofa. I got the idea not just by thinking about the quality of the form of the finished design, but above all by considering two important questions: first, whether the product concept was “expandable” and, second, how this potential for expansion could be presented in a balanced way. 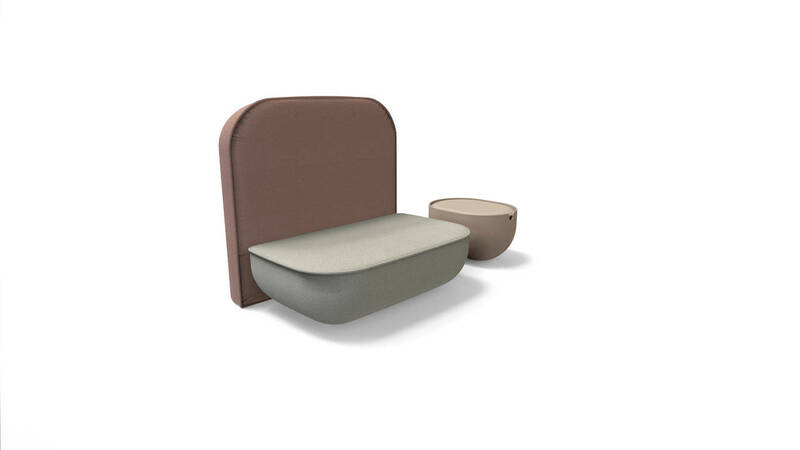 Users of Okome can combine the different modules and use them as seats, backrests or armrests, in any way they wish. There are twenty different modules, and the seats, backrests and armrests all have the same shape, to maintain a sense of visual unity. 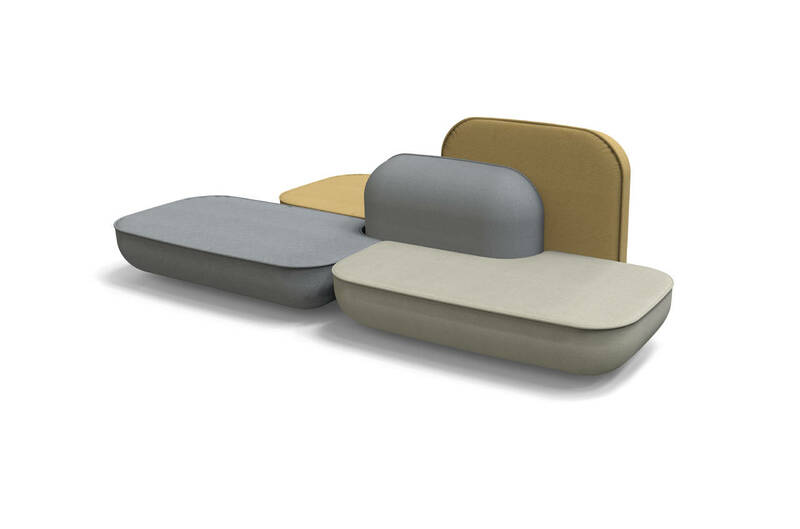 The high backrests can also be used as sound-absorbent dividers. 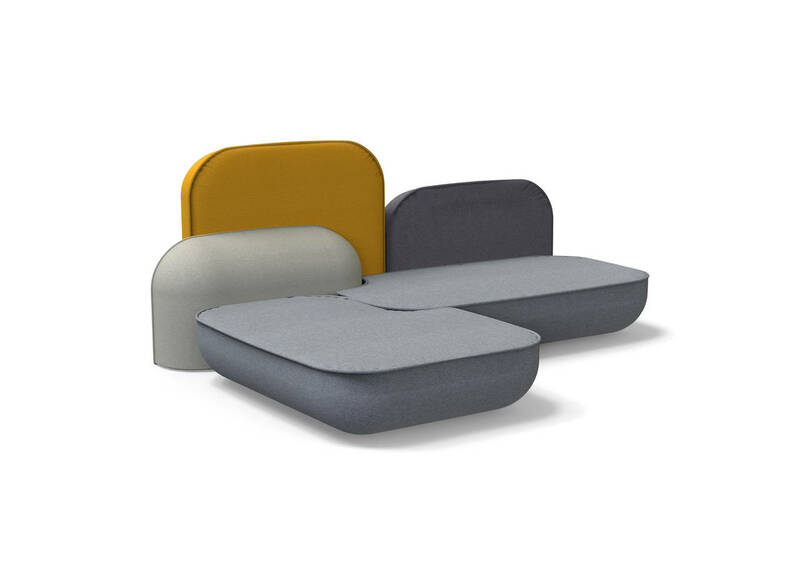 The seat surface is flat, but slightly rounded toward the base, so that the sofa will not get dirty in contact with shoes in public spaces such as waiting rooms and foyers. At the same time, precisely adhering shapes ensure that the modules can be combined not only horizontally but vertically as well. Area: What measures, corrections, and variations on the theme did you come up with to give concrete form to Nendo’s concept? Andrea Sanguineti: At Alias, we are used to working on projects with the designers, whom we see as friends and partners; our relationship with them goes beyond working together. It is important for designers and companies to establish a relationship of mutual trust and enrichment. The company contributes technical experience and productive capacity, while the designer contributes a vision, and the formal and typological innovation that goes into the project. 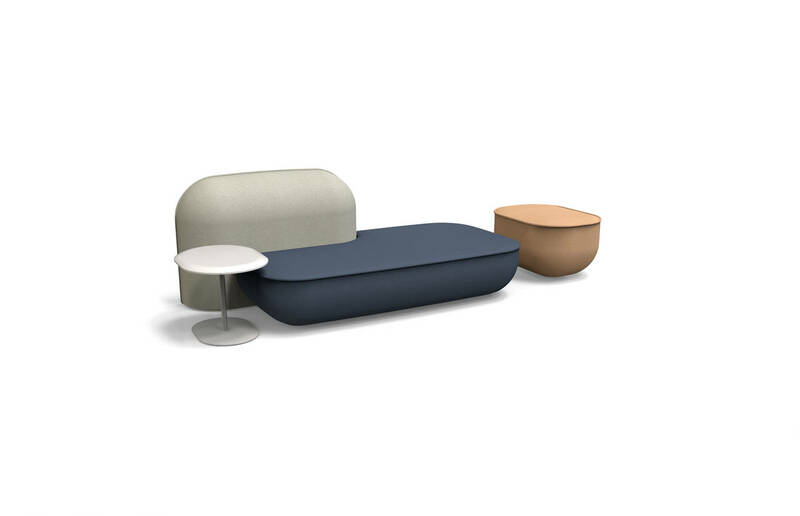 We have already developed other successful products with Oki; we decided to change the original concept of the project and work on the depths of the sofa, on its modularity, in order to simplify the product while maintaining its original spirit. We worked on the comfort and the seams of the sofa, and the design has had three very important revisions so far. The family will continue to be transformed in the future, adding new types and accessories, for instance for use in the bedroom. The changes developed with Oki applied to individual elements and to the possible configurations of the product, which for the sake of simplicity is presented in nine versions of different types: armchair, chaise-longue, love seat, three-seat sofa and more complex, larger compositions. But Alias also permits use of individual elements in freer forms in customised designs. 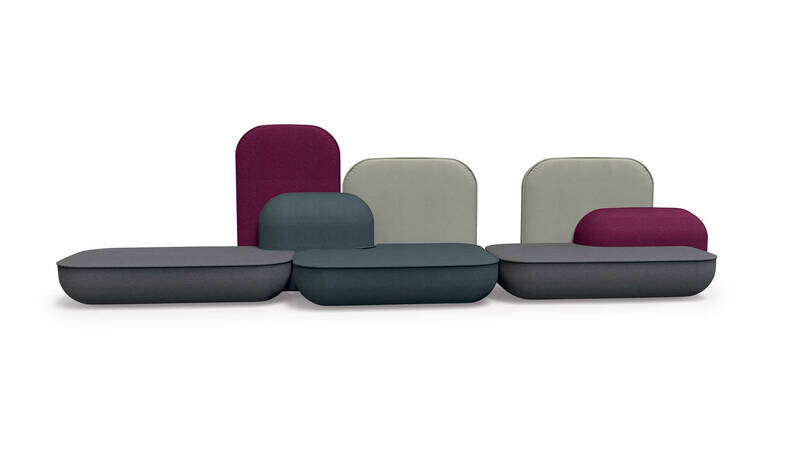 Area: The flexibility of these configurations permits customisation of the seating system. Which elements are included in the collection, and what special accessories have you come up with? 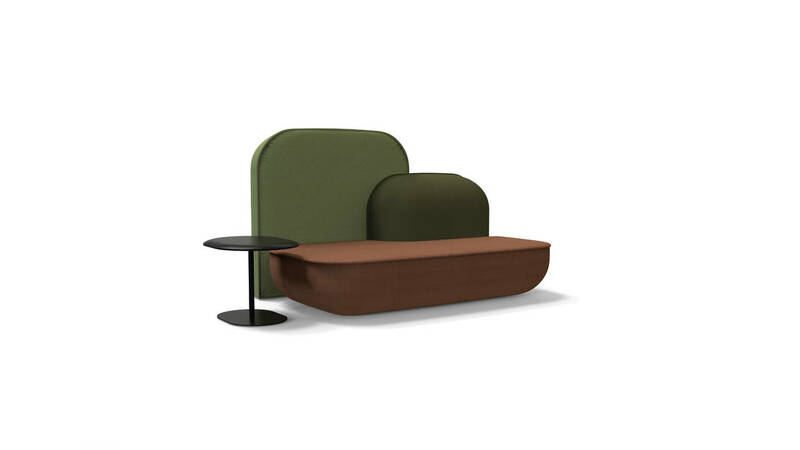 Oki Sato: A wooden coffee table with the same curves as the sofa is available in three versions: one with legs trimmed with metal, one with a single foot that “slides” under the sofa, and a “container” version which can contain cables or little accessories. Each model is made to fit the shape of the sofa perfectly. Area: How is Okome designed, in structural terms? 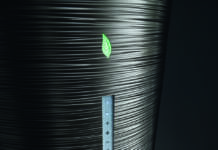 What technologies and materials were used in the project, and in the hooking system? 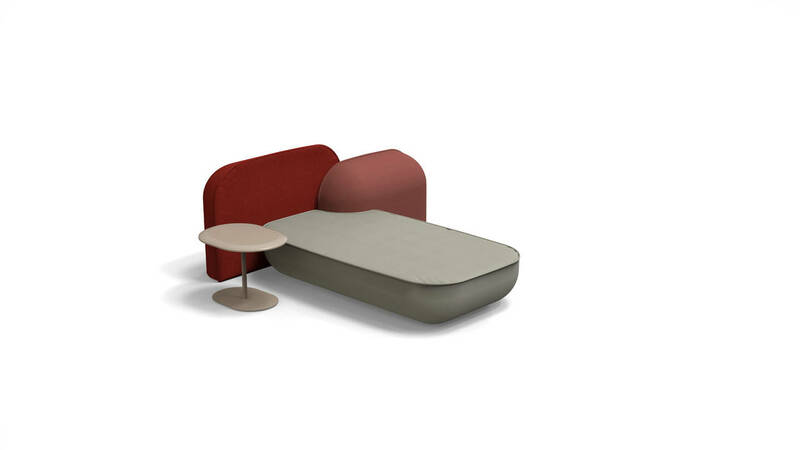 Andrea Sanguineti: The difficulty in the Okome project was the geometry of the sofa; upholstered furniture normally has a very tight radius permitting use of traditional technologies. 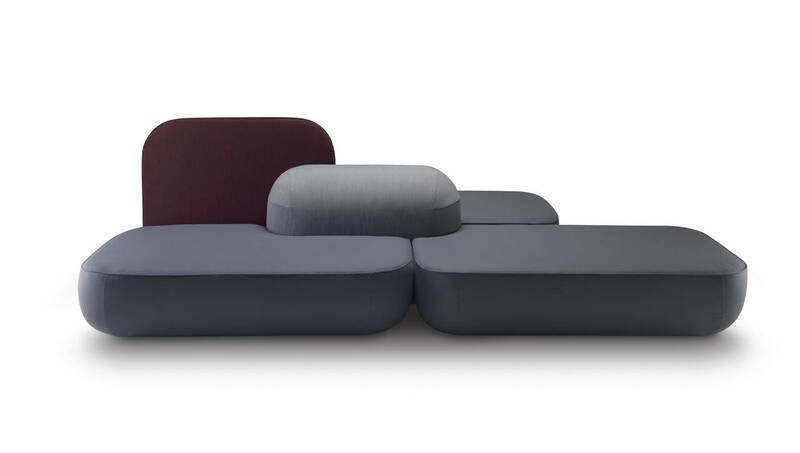 But right from the start, Oki wanted the shape of the pieces making up sofa to be very soft, with a large radius to create an impression of floating, as if the sofa were floating on the floor without being anchored to the ground. This led to the choice of a structure made out of a combination of converted rubber and moulded pieces, expanded polyurethane and a frame with strips of elastic to limit the height of the seat. The invisible hooking system uses magnets to anchor the backrests to the seats, preventing them from coming apart. The sofa is made comfortable by a system of belts and a combination of rubbers of different densities. Area: Okome’s final image and versatility confirm Alias’s ability to accept different experiences and influences, resulting in evolution of the advanced technology that has always been associated with the company. Do you think this analysis is accurate? Andrea Sanguineti: It’s definitely accurate to talk about Alias’s advanced technology and research, which is the company’s heritage. When we begin a project, we are always interested in expressing new forms and researching use of advanced solutions and cutting-edge technologies. 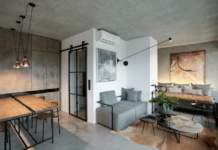 It is clearly more complicated to address these themes working on upholstery rather than tables and chairs, where use of technologies such as die-cast aluminium, honeycomb aluminium and extrusion is more common. 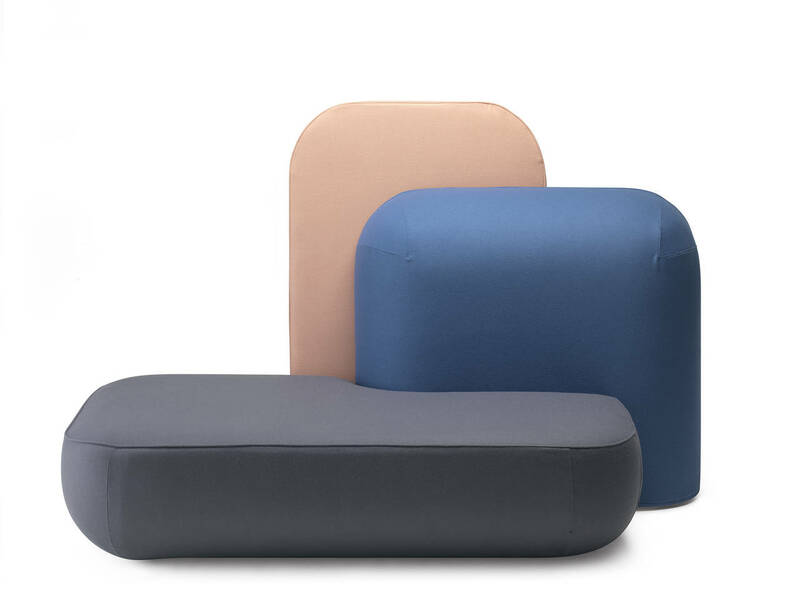 But we believe that with Okome, Alias has managed to introduce radical innovation in this type of product and create a fresh new sign; the confirmation comes from the interest the sofa is attracting among customers in key European markets, who have welcomed Okome with great enthusiasm. The ability to combine formal innovation, advanced technology, and the work of young designers is a distinguishing feature of Alias and its heritage.